Nikkolette Krumheuer was a successful finance pro, checking all the boxes of corporate life. But something wasn’t quite clicking, and she realized she wanted more from her work. She turned to classic pastry as a way to create a different future, and more happiness for others. After five years of holding down her job while developing her macaron business, she recently decided to to “go all in” as an entrepreneur. Oh Nigella Lawson, you luscious Domestic Goddess, how do we love thee, let us count the ways….you make it look so easy, being a baking queen. And, don’t even get us started about the Great British Bake Off…. after an hour of watching the contestants whip up their delicious, creative treats, we begin to daydream…wouldn’t it be amazing to do that for a living? Make people happy with cakes! Yes, that sounds more like it! Yet, while baking looks soft, floaty and oh-so-easy on TV, anyone who’s attempted even a basic layer cake knows, it is not as easy as it looks. It takes practice, resilience, and instinct. And anyway - who are we kidding? We have bills to pay! Kids to clothe! Meetings to (sit through) - sorry, “participate in”…..
That was just the challenge that Nikkolette Krumheuer liked. She was notching up the successes in corporate as a finance professional but began to consider an entrepreneurial path as a way to create a different success. Five years - (and in 2018, 50,000+ macarons) later, she decided to pursue “Nikkolette’s Macarons full-time. You invested years building a career in corporate finance working for global companies. What motivated you to eventually start your own business? I was looking for a challenge and that would instantly make other people happy. 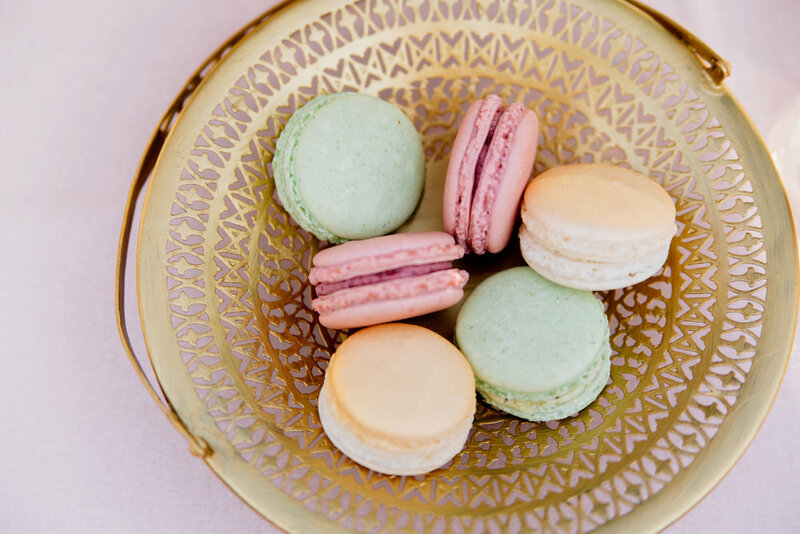 I fell in love with macarons and knew it would be the thing that would bring joy to others. Why did you choose macarons? They are technically extremely hard to make - having them taste amazing isn't easy. When did you know that you had proved your concept enough to be able to leave your corporate career? When I was putting in 40+ hours on nights and weekends, it became impossible to work a full-time corporate job and do my business, there was a distinct fork in the road and I knew it was time to go all in on my business. Starting your own business can be exciting but also daunting and sometimes lonely. What have you done to counteract some of those challenges? I am naturally introverted, but I try to go out a few times a week with other women in the same situation. I love networking with other women-owned businesses in Minnesota and have found their support has helped me to grow. What moments make you realize that your hard work is worth it? When I receive feedback that my macarons were the hit of the wedding, corporate event or other special occasions. I often hear from people that my macarons remind them of a trip that they enjoyed and this brings them back to that moment. Nikkolette made 50,000+ of these pretty little lovelies last year. 50,000+!! You wear many hats - you’re the business owner, primary maker and you’re now considering your first employee hires. How would you describe a “typical day”? A typical day does not exist for me - there are always things that are occurring. I try to segment days into focusing on certain tasks and break those up from accounting to baking to sales - I love it because I am continually learning new things and meeting some amazing people along the way. What have you learned about yourself in the last few years? I am resilient and have more ability than I might have thought before. When you’re wearing all those different hats it forces you out of your comfort zone, which is scary. However, looking back at these moments have brought so much joy to what was accomplished and gives me even more energy to continue driving forward. You can do anything you want in life and you will. What advice would you give other women who are considering expanding a hobby into a business? Find out more about Nikkolette’s Macarons here, follow on Facebook here, and admire the pretty, oh so pretty macarons on Instagram.